Dr. Margaret Jjuuko is a Senior Lecturer with the School of Journalism and communication, College of Arts and the Social Sciences, University of Rwanda (UR) – Kigali Campus. 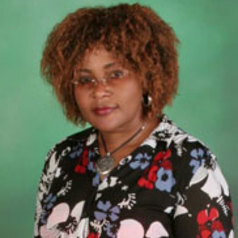 She holds a PhD in Journalism, Communication and Media Studies, Rhodes University, South Africa; MA in Journalism and Media Studies, Rhodes University, South Africa; Bachelor of Mass Communication (Honors), Makerere University, Uganda; Certificate in Television Production for Education and Development, BBC Open University, UK; and a Certificate in University Teaching from Carleton University, Canada. Jjuuko is a Media and Communications, information expert with extensive experience in research, training and consultancy, with more than 28 years of experience. She has taught and consulted on a number of media training and developmental projects in Rwanda, Uganda, South Sudan, Kenya, Tanzania, Burundi and South Africa. She is currently a Board member of the East African Communication Association (EACA) and formerly the Association's Secretary General. Her research interests are in media texts and reception analyses in African contexts; environmental communication and social justice in the areas of gender; political communication, PR and Cooperate communications.